Summit Engineering » Neil R. Baer, P.E. Summit Engineering, L.L.P., Columbia, South Carolina. Consulting Engineer performing specialized consulting in the areas of: Property Loss Claims Consultation: cause of loss(wind versus water), building code compliance, repair or replacement analysis, scope of damage, estimate of repair, actual cash value, salvage value, and time to repair; water intrusion and mold causation, Failure Analysis: analysis and evaluation of designs, determination of cause of failure, Standards and Code Compliance; accident evaluation: structural damage evaluation, Structural Analysis: analysis of existing structures for load carrying capacity and code compliance; E.I.F.S. Examination: identification of defects in EIFS and related building systems, scope of damage determination, estimate of repair costs. Special Projects Manager, SMI Joist, S.C. of Cayce, South Carolina. Responsible for feasibility study for consolidation of two manufacturing plants, design of concrete foundations and steel superstructure for plant additions and improvements including design of overhead crane bridge beams, column repair and replacement, and land surveys. Plant Manager for SMI Owen Joist of Cayce, South Carolina. Responsibilities included safety, quality control, and production for two manufacturing plants, design of column replacement system in existing plant, supervision of new assembly line construction, structural analysis of steel building structure for overhead crane additions, design of concrete containment structures for paint tanks. 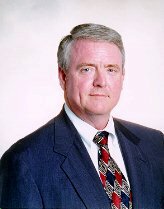 Vice President and General Manager for Owen Joist of Cayce, South Carolina. Responsibilities included safety, quality control and production improvements for three manufacturing plants, assembly line modifications and additions, design and construction supervision of a paint system for joists, and supervision of modifications and upgrades on a robotics joist machine. Vice President-Sales for South Carolina Steel Corporation of Greenville, South Carolina. Responsibilities included estimating, selling, and managing design-build structural steel and reinforcing steel projects, supervision of sales personnel, analysis of subcontractor bids, and coordination and planning of corporate sales efforts. Managing each project included detailed coordination with the steel erector and other trades, job site trouble shooting, and determination of causes and solutions for field problems. Manager of Structural Steel Sales for South Carolina Steel Corporation of Greenville, South Carolina. Responsibilities included estimating, selling, and managing design-build structural steel and reinforcing steel projects, supervision of sales personnel, analysis of subcontractor bids, and coordination and planning of corporate sales efforts. Managing each project included detailed coordination with the steel erector and other trades, job site trouble shooting, and determination of causes and solutions for field problems. Engineer, Estimator, Project Manager for South Carolina Steel Corporation of Greenville, South Carolina. Responsibilities included estimating, selling, and managing design-build structural steel and reinforcing steel projects and analysis of subcontractor bids. Managing each project included detailed coordination with the steel erector and other trades, job site trouble shooting, and determination of causes and solutions for field problems. Structural Engineer with J. E. Sirrine Co. of Greenville , South Carolina . Responsibilities included structural analysis and design of steel and concrete structures. Project Manager and Estimator for Yeargin Construction Co. of Greenville, South Carolina. Responsibilities included managing the construction of two office buildings including coordinating subcontractor’s schedule and performance standards, dispute resolution, field inspection, trouble shooting, and problem resolution. Estimating responsibilities included material take-offs, subcontract price solicitation and coordination and scheduling. Office Engineer for Yeargin Construction Co. at an industrial job site in North Carolina. Responsibilities included estimating and obtaining approval for over three hundred change orders, coordinating drawing revisions with the Architect/Engineer and all trades on-site, and assisting the Project Manager in material procurement and scheduling. Estimator for Yeargin Construction Co. of Greenville, South Carolina. Responsibilities included material take-offs, subcontractor’s price solicitation, and bid compilation for industrial and commercial turnkey projects. Field engineer for Yeargin Construction Co. at an industrial project in South Carolina. Responsibilities included setting and checking elevations and locations of forms for concrete pours, verification of dimensions of structures to assure adherence to plans and specifications. Rodman for J. R. McCrone Surveying in Annapolis, Maryland. The duties in this summer job included being part of a surveying crew performing property boundary surveys for private residences and commercial establishments. Laborer for Powell Marine Construction Co. in Edgewater, Maryland. Responsibilities in this summer job included assisting with the operation of a floating pile driver in the construction of bulkheads and piers. 1991 Study project on the effects of reinforcing in concrete slabs on grade with the Construction Specifications Institute.